Large Size Gift/Tote bag in Classic Mid-Century Modern Eames "Circles" fabric! 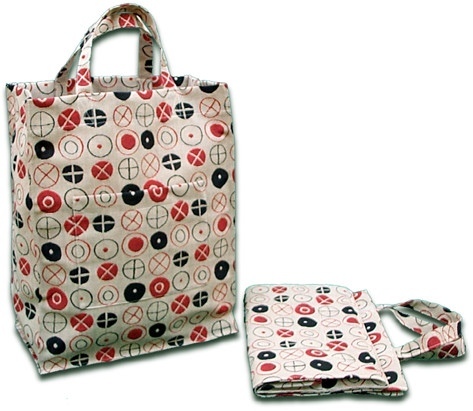 Gift/Tote bag in Classic Mid-Century Modern Eames "Circles" fabric! A great way to show off your love for Mid-Century-Modern! Large tote bag in Classic designer fabric From Charles and Ray Eames (Circles in the Document colorway from Maharam). Handy and fashionable, a unique gift idea for that mid-century modern fanatic, yet folds up for stowing away. Bag's dimensions are 17 1/2" tall, 14" wide, and 7 7/8" deep (sides) with a large pocket on the front. We only have one of these left in stock... Get it while you can!